A newly released video shows the foster mum of missing boy William Tyrrell recount the panicked moments after she realised he had gone missing. The footage was released by police investigators on Wednesday after it was shown at the inquest into the disappearance and suspected death of the three-year-old boy. 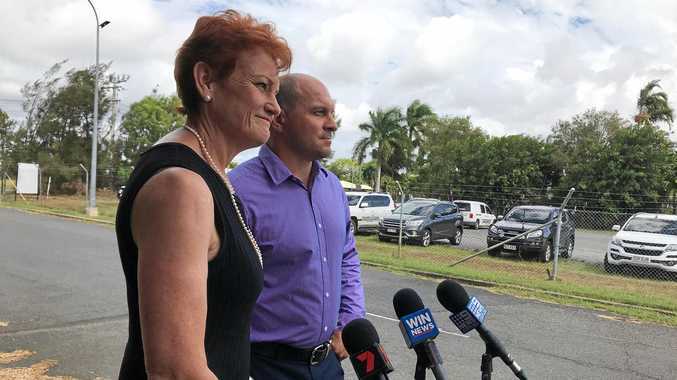 It shows William's foster mum recount driving around in her car and being forced off the road by an unaware semi trailer as she searched the streets for the boy. William, who lived with his foster family in Sydney, went missing from the mid north coast town of Kendall. The disappearance happened in a matter of minutes. His foster mother and grandmother had been watching him play hide and seek in the back and front yard before going inside to make tea. His foster mother became panicked and started searching when she couldn't hear him imitating a tiger's roar beside the house. The video shows the foster mother walking police investigators through her search. His foster mother tells investigators as she drove around looking for William, she saw a large truck coming down the road and pulled over to let it pass. "It was a semi trailer coming down the road really fast. And he thought I pulled over, because he acknowledged me by saying thanks for pulling over. But I pulled over 'cause I've just got my head out the window, you know, looking for William," she said. "And then I drive really slow on Moore, and I get to the Riding School and I just think, he's not here. "And I just drive out and I think, he's not here. And then I bring the car back up. And I just run out and I look for him again." William Tyrrell's foster mother walked police through her search of the home in Kendall. 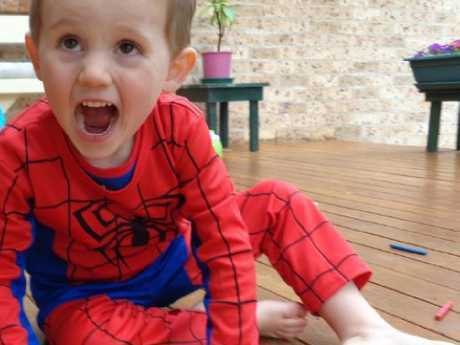 William Tyrrell's foster father is due to testify at the inquest today. The man, who cannot be identified, is the first witness to be called on day three of hearings before Deputy State Coroner Harriet Grahame in Sydney. He was with his wife and their two foster children, William and his sister, visiting the woman's mother in Kendall when the boy vanished while wearing his beloved Spiderman costume on the morning of September 12, 2014. Multiple neighbours on Tuesday said they saw the "hysterical" man running around, screaming the child's name. "I'm sure if William had been around, he would have come to him," neighbour Sharelle Crabb told the inquest. Her husband, Peter Crabb, said he "looked in places where a little boy might hide" including driving to a nearby swimming pool but there was "nothing, absolutely nothing". "They (the foster parents) were shouting and screaming off their heads for William," Mr Crabb said, noting numerous others were "coming out of the woodwork" to help. His wife added, "They both looked extremely distressed." William's foster mother has already testified that she saw three "old" vehicles on the dead-end street that morning including two parked cars which she didn't realise until after William went missing were nowhere to be seen. Counsel assisting the coroner, Gerard Craddock SC, on Monday said he expected the evidence would establish William "was taken".